The meteoric rise of St. Frances Academy football as a national power and its MIAA A Conference opponents declining to play them is one of the biggest stories on the Baltimore high school scene in years. The controversy is about to get national attention. E:60, ESPN’s news magazine show, will discuss the St. Frances situation Sunday morning. A feature, written by ESPN senior national columnist and E:60 contributor Gene Wojchiechowski, debut Friday on ESPN.com. The Panthers went 13-0 last season, winning their second straight MIAA A championship. The east Baltimore school, which was the consensus No. 1 in the area and No. 4 in the final USA Today Super 25, outscored its league opponents (including playoffs), 341-50. In 2015, St. Frances didn’t win a league match. Under the leadership of several members of former Gilman School coach Biff Poggi’s staff, the Panthers won their first league title in 2016. Poggi, who won 13 titles in 19 seasons at Gilman, joined St. Frances as co-coach with Henry Russell last season after spending the 2016 season on the University of Michigan staff. 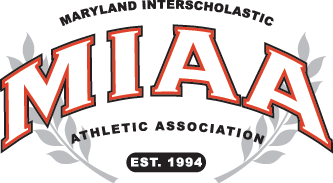 In late May, Mount St. Joseph and Calvert Hall College notified the MIAA it would not play St. Frances, citing safety concerns. McDonogh School, Gilman School and Archbishop Spalding announced the following week they would not play St. Frances in 2018. Spalding officials said “logistical reasons” was behind its decision. St. Frances, in reaction to Calvert Hall, Mount St. Joseph, Gilman and McDonogh’s refusals, announced it will play an independent schedule in 2018. With start of practice a few days away, the MIAA is to set announce if there will be an official A Conference season in the fall and whether a champion will be awarded and or postseason tournament will take place. In addition, the league is expected to announce changes to its transfer rules. Sunday’s E:60 piece will focus on St. Frances and Poggi, whose contribution helped start the St. Frances football nearly a decade ago and has reportedly put millions of dollars into academic and athletic improvements around the small predominantly black private school and housing for dozen of players. Poggi’s mission to help the St. Frances players on and beyond the football field has been met by detractors, who say he’s assembling an all-star team with out-of-state transfers, and the program has been accused of recruiting kids from other schools. Others believe St. Frances’ opponents refusal to play for safety concerns are racially motivated. Gilman co-athletic director Lori Bristow, the only MIAA athletic official who appears in the E:60 piece and is quoted in the ESPN.com feature, denied those accusations. E:60 airs at 9 a.m. Sunday.